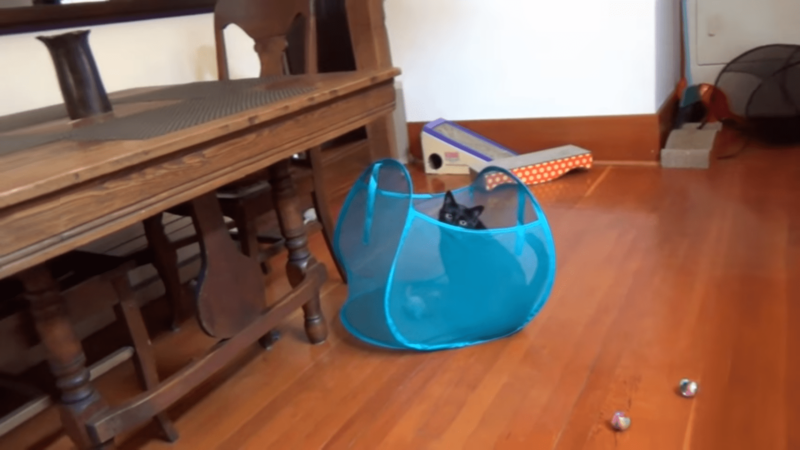 Forget all those fancy store-bought cat toys – all this cat really wants is a laundry hamper. Forget all those fancy store-bought cat toys – all this cat really wants is a laundry hamper. Check it out – the hamper doesn’t stand a chance.